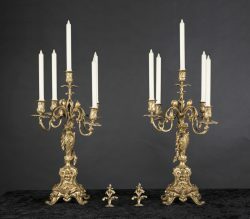 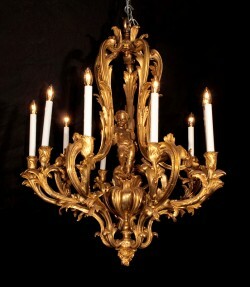 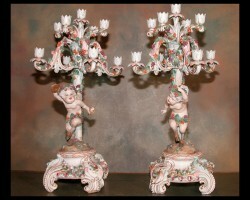 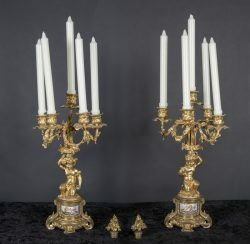 Pair French 19th century Louis XV five branch bronze d'ore candelabra with Sevres insets, cupids, and d'ore snuffers. 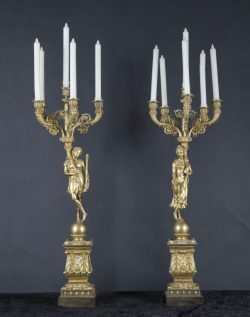 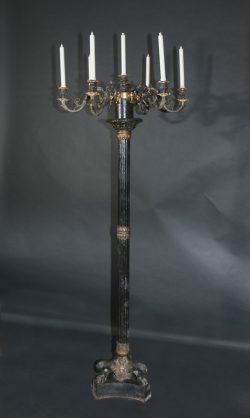 Pair of French 19th century bronze d'ore figurines of male and female candelabras supporting 6 lights with very ornate candle holders and monumental base. 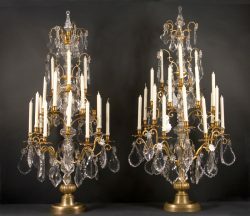 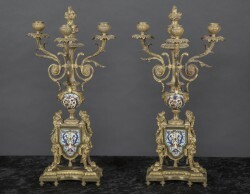 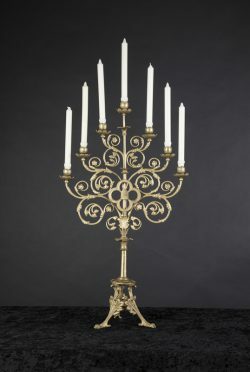 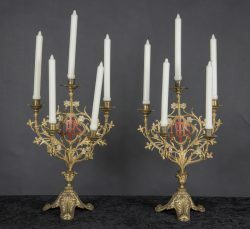 Pair of 19th century gilded candelabra in floriated form, adorned with the holy “IHS” in red.